Leonard P. Schneider,77 of New Albany passed away Saturday, July 21, 2018 at Pleasant Valley Assisted living facility in Sedan Kansas. He was born on August 19, 1940 to Wendell P. and Edith (Morgan) Schneider. 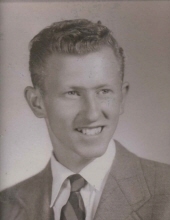 He grew up and attended schools in Fall River, Kansas, graduating in 1958. On January 21, 1961 he married Linda (Frost) at the Sacred Heart Church in Fredonia, Kansas. They raised 2 children, Mike E. Schneider and Paula Hendrix. He was a loving grandfather to Corey Hendrix (Tosha), Lindsey Cox (Mat), Devlin Hendrix and 6 great-grandchildren. Leonard helped start Old Iron Club in Fredonia and started the first car club in the area in New Albany. Leonard was a 4-H leader for over 45 years with the Busy Beavers. He was a life time member of the National Drag Racing Association. Leonard worked for Carl Meadows Salvage right out of high school, becoming a salvage owner himself later in life. He was employed by Kenny Lambert construction company and retired from Alert Construction in Fredonia. Leonard never met a stranger and always helped those in need. He was preceded in death by his parents and brother Bernard Dale Schneider. Leonard is survived by his wife, children, Mike Schneider of Longton and Paula Hendrix of Chanute, sister, Jean Ann Kariker of New Albany, Kansas, 3 grandchildren, Corey Hendrix, Lindsey Cox, Devlin Hendrix, and six great-grandchildren. Mass of Christian Burial will be Saturday, July 28, 10:00AM at the Sacred Heart Catholic Church, Fredonia. Visitation will be held Friday, July 27, 5:00-7:00 pm at the Sacred Heart Catholic Church, with Rosary at 7:00 pm. Interment will be at Weakley Cemetery, New Albany, Kansas following Mass. Memorial selection is The Old Iron Club, may be left or mailed to Wickham Family Funeral Home, 510 N. 7th Fredonia, KS 66736. To send flowers or a remembrance gift to the family of Leonard P. Schneider, please visit our Tribute Store. "Email Address" would like to share the life celebration of Leonard P. Schneider. Click on the "link" to go to share a favorite memory or leave a condolence message for the family.